benefit from individual attention to their system. Xerox had a number of internal monitoring systems; each relatively independent and isolated. Department heads and engineers could only see specific data associated with their “area”. Unfortunately, a comprehensive view was not available so the relationship of each department to the whole was not available. AI Vector centralized all of the monitoring systems to a single location and tied information together. Xerox implemented a user rights and views procedure that provided managers and engineers more comprehensive data. Costly duplication was eliminated. Diagnostics were improved because all of the data was available in one place. Problems are more quickly addressed; managers and engineers are better informed. What is the hope of every company – Growth. What is the downfall of many companies – Rapid Growth. Velocity was outgrowing their original system design and processes. It was becoming more difficult to maintain centralized control and acceptable system performance. Each new sever added would only compounded the problems. AI Vector assisted in a system redesign and introduced a collector approach to redistribute the Load. Distributive processing at the server level allowed monitoring to maintain the Centralized structure desired. Velocity has experienced rapid growth from hundreds of servers and checks to tens of thousands. Currently the Velocity system is supporting over 18,000 hosts. SEPHORA had a monitoring system. But when they tried to add Applications Monitoring at the store level the System Load increased dramatically and they were flooded with excessive data that was almost impossible to interpret. And, it was difficult to correctly isolate the source of their problems. In conjunction with SEPHORA staff engineers and AI Vector personnel, a comprehensive monitoring scheme was jointly designed, developed and implemented. Pertinent information, accurately categorized based on individual stores and geographical regions, was provided. The results – SEPHORA can now quickly identify problems at each store and make timely corrections. Business Processes on all levels are defined, monitored and proactively managed. This has measurably improved performance. AI Vector continues to provide technical support as a partner with SEPHORA. 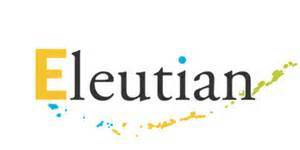 As Eleutian grew they saw the value in finding an organization that not only understood how to set-up monitoring but knew what the reports and alerts really meant. And, more importantly, knew what to do about it. As part of the Managed Service evaluation AI Vector performed a client tailored System Analysis before any contract or agreement was in place. The Eleutian’s systems were crashing on a regular basis and the cause was not obvious. AI Vector installed a client specific custom monitoring system. After reviewing and assessing the data then available, a significant system redesign was suggested and implemented. Not only did the design focused on current problems, it anticipated growth potential (Scalability) and added monitoring requirements (example: Application Monitoring). Eleutian benefited from a stable system. A large portion of their business model depended on reliable Internet access and connectivity. With the 24/7 alerts and the AI Vector knowledge-base standing behind them, Eleutian could concentrate on developing and implementing that model.